While visiting my parents last week, my father remarked, “I’ve never seen your skin so clear”. My secret is a substance that I’ve always had in the kitchen but that I now also keep in the bathroom. Called the “food of the gods” or “liquid gold”, honey has unique nutritional and medicinal properties that go well beyond it’s common use as a food sweetener. One or two teaspoons of unpasteurized honey (especially buckwheat honey for acne) gently rubbed into the skin and rinsed with warm water leaves skin soft, supple, moisturized, and pimple free. Honey is the best facial cleanser I’ve ever used. It’s cheap, it’s natural, effective – and it’s basically bee vomit. Indeed, nectar from flowers is collected by bees and converted into honey through a process of regurgitation and evaporation. Honey is nectar that has been repeatedly regurgitated by the bees until it is partially digested. 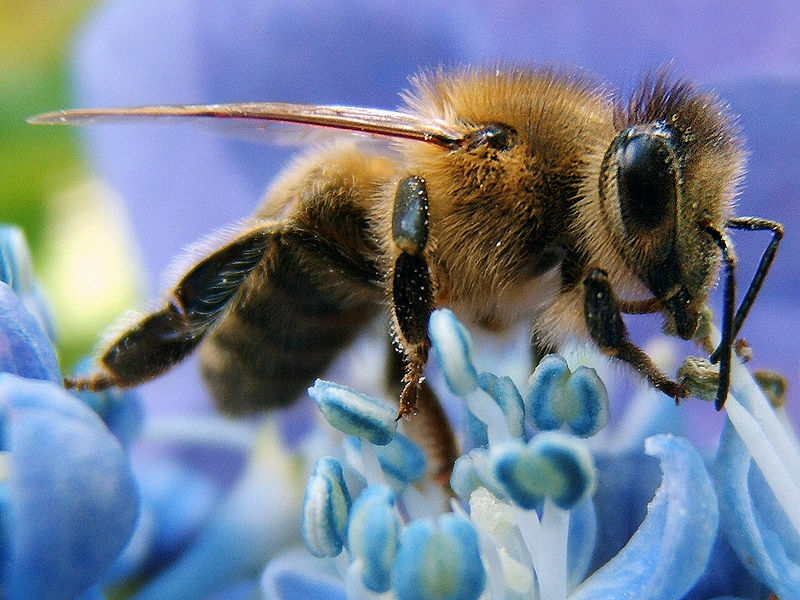 The bees store honey as an energy source for when food resources become scarce. Humans harvest the extra honey from the semi-domesticated European Honeybee (Apis mellifera). This regurgitation process described above provides honey with many of its antibacterial, antifungal, anti-inflammatory and antioxidant properties. Honey is often used medicinally to alleviate sore throat and cough, and applied to skin wounds and burns. The ancient Egyptians and Middle Eastern peoples used honey to embalm the dead, and honey was often left in jars the tombs of pharaohs, unspoiled and perfectly edible thousands of years later. It is a supersaturated sugar solution. More sugar is dissolved than normally possible at ambient temperatures. 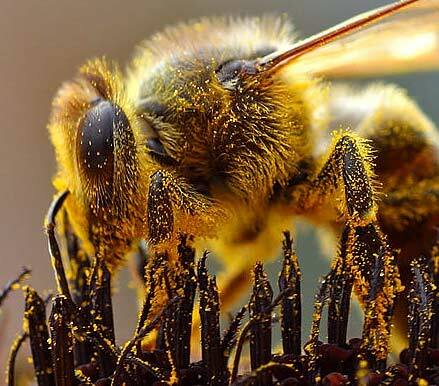 This property enables honey to draw out water of microbes, killing them by desiccation. It is acidic: The bees’ digestive juices lower the PH of nectar down to a PH of 3.26 to 4.48, which is lethal to most bacteria. It has low water content: Bees fan the hive with their wings and create an air current which helps evaporate and decrease the water content of honey. This also helps kill microbes by drawing out water. It has a low water activity – about 0.6: This is the quantity of unbound water molecules (different than moisture content). Molecules that are not bound to food can harbor bacteria, fungi and yeasts. Honey has low water activity, which creates conditions where microbes can’t live. If that wasn’t enough, one of the digestive enzymes of bees, glucose oxidase, transforms sugar into gluconic acid and hydrogen peroxide. Hydrogen peroxide is an antiseptic and glucose oxidase is also known as Penicillin A or Notatin, which acts as a natural preservative. 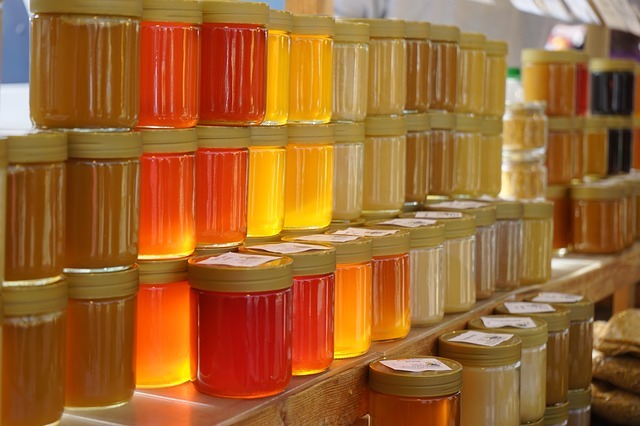 Unpasteurized honey contains pollen, propolis, wild yeasts, spores and bacteria, which are absent in pasteurized honey. These contribute beneficial substances to honey, such as vitamins, minerals, carbohydrates, proteins, lipids, carotenoids and bioflavonoids, which have antiviral, antibacterial, anti-inflammatory and antioxidant properties. Unpasteurized honey may also contain dormant endospores of the deadly neurotoxin Clostridium botulinum, which causes botulism. This poses no problem to adults, however, unpasteurized honey should not be given to children of less than one year of age. Interestingly, Clostridium botulinum is used to make Botox, which is commonly used in cosmetic applications and prevents the development of wrinkles by paralyzing facial muscles. The earliest known records of man collecting wild honey are 15 000 year old rock paintings in South Africa. 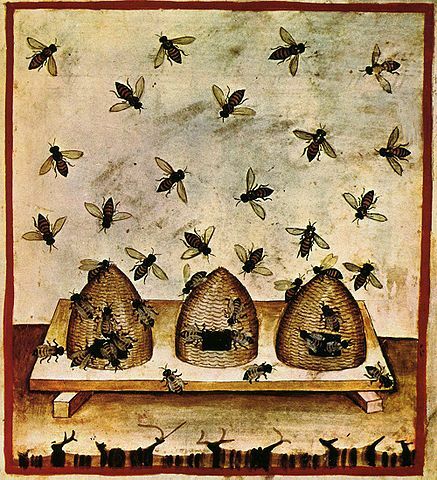 Tomb paintings show ancient Egyptians practicing beekeeping around 4500 BC. Mead is an alcoholic beverage made from honey, water, malt and yeast, and it has been brewed for at least 6000 years all over the world. Honey has been revered for thousands of years as “the food of the gods” and bees were venerated by ancient cultures far and wide, and were considered harbingers of fertility and abundance. They symbolize immortality and resurrection and were considered the sacred link between the natural world and the underworld. Honey was regarded as an elixir in Mediterranean cultures that ensured a long and healthy life. In Hinduism, honey is considered one of the five elixirs of immortality. Hindu deity Krishna is often depicted as the bee goddess Madhusudana, and Soma, the moon, is also called a bee. In Jewish traditions, apples are dipped in honey to symbolize the New Year or Rosh Hashana. In the Exodus of the Bible, the Promised Land is described as the “land flowing with milk and honey”. 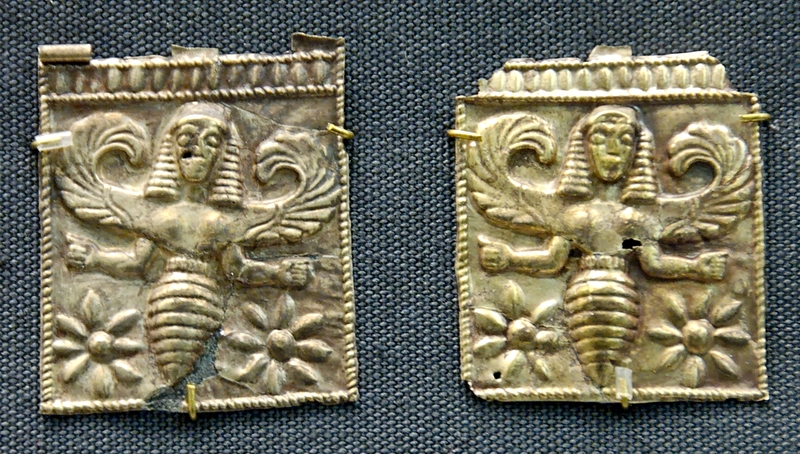 The Ancient Greek’s called their priestesses “Melissae”, which translates to bees. The Great Mother or Goddess was called Melissa, or Queen Bee. The most prestigious oracle among the Greeks was located at Temple of Apollo at Delphi; she was called the Delphic Bee. Apollo was said to have given the gift of bees to Hermes, who is the messenger of the Gods. Bees were worshipped not only because they produce honey but also because they are important pollinators. 80% of all flowering plant species depend on pollinators to reproduce. 35% of the world’s food supply depends on pollination, which also increases output of 75% of the global food supply. A 2009 study found that he total economic value of pollination worldwide amounted to €153 billion. Bees from the genus Apis produce honey but other types of bees do as well such as the bumblebee, stingless bees and honey wasps. Most of the 25,000 to 30,000 species of bees (Hymenoptera: Apidae) are pollinators, together with moths, flies, wasps, beetles and butterflies and bats. Since plants are the major food source for animals, global pollinator decline affects entire ecological and agricultural systems. Declines in pollinator diversity have been well documented worldwide, mostly due to agricultural intensification and habitat loss, and are of major concern. Prairie restoration, low impact agricultural practices, landscaping with diverse native flowering plants and avoiding pesticide use are great ways to promote healthy bee populations. Allowing clover flowers grow into your lawn is another easy way to help feed the bees. Buying local organic produce also helps support farmers that are using sustainable agricultural practices to grow their crops and thus supports local pollinators. Buying locally produced unpasteurized or raw honey made from local flora helps support beekeepers in your area. 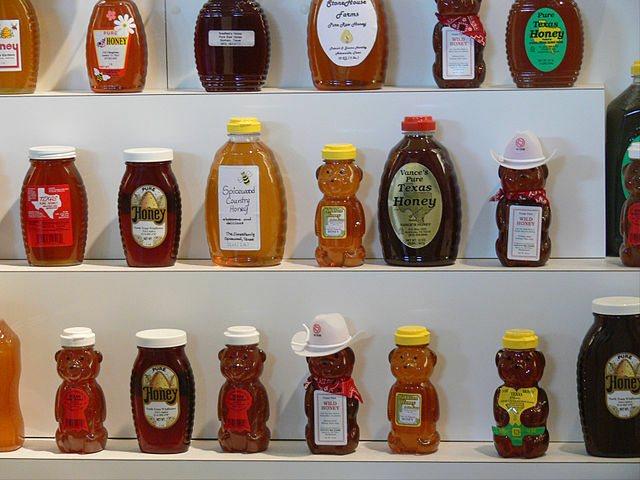 Unpasteurized honey has not been treated in an way to extend shelf life, and has more flavour and beneficial properties than pasteurized honey. 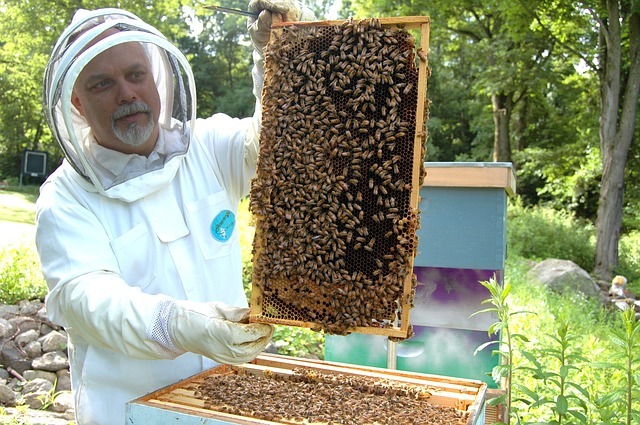 You can also take an apiculture course, look up your local beekeeping association and become a beekeeper! It will do wonders for your garden. Remember, bees are not aggressive and should not be confused with wasps or hornets. Bees will die if they sting you and will avoid doing so unless threatened. So, why don’t you go buy yourself a nice pot of local honey, wash your face with it, bake with it, use it for coughs and colds, put it in you tea and eat it on buttered toast! Who knew that honey had so many properties, and other benefits than the usual food sweetener usage.Given the importance of bees in pollination, and thus our subsistence, it is a shame that our governments do not invest more time and money in research to find the cause and solutions to colony collapse disorder that affect bee colonies world wide. Although the situation remained stable in the last few years, losses are far more important than what it used to be 20 to 25 years ago. Thanks for your thoughtful comments Marc-André! Much appreciated.